Riverhawk, the leading edge manufacturer of reliable monitoring products used in the protection of rotating machinery, offers a line of compact and rugged stand-alone vibration and axial position monitors which perform automatic alarm and/or shutdown, at excessive input levels, without the need of displays and/or additional instrumentation. Our Vibration Monitors measure vibration double amplitude (displacement) or vibration severity (velocity). There are two ways to sense vibration: Relative to the frame or bearing cap using proximity probes or Absolute which is relative to a point in space (i.e. seismic displacement pickups, velocity transducers or accelerometers). Any of these sensor signals can be processed, using the appropriate monitor, into a DC signal proportional to displacement (mils peak-to-peak) or velocity (inch per second peak). Our Axial Position Monitors measure the axial motion of a machine shaft caused by thrust clearance and further thrust bearing wear using proximity probes. 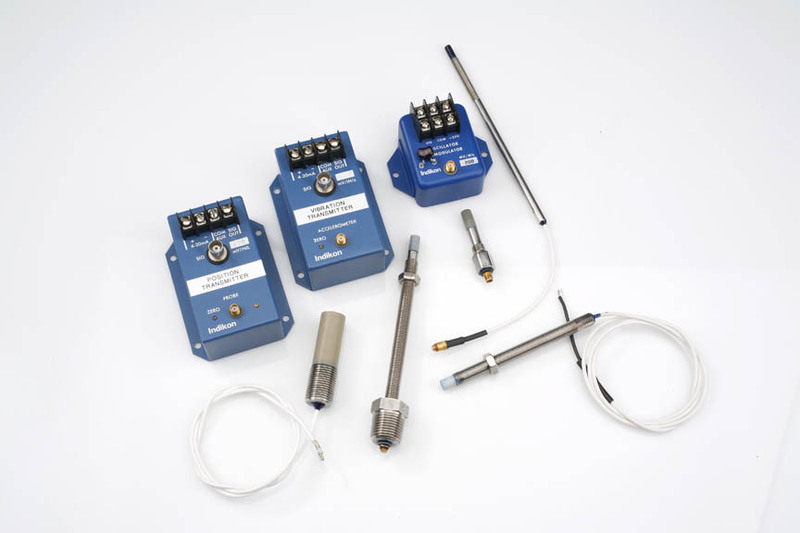 In general, these probes measure distance and, therefore, can also be used to measure machine variables such as rotor position and differential or shell expansion in gas turbines. 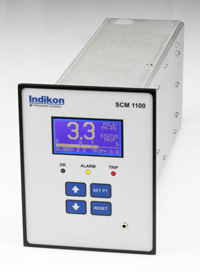 Riverhawk Monitors are useful in providing an index of condition for rotating machinery. The readings of a vibration monitor reflect the status of variables that affect the performance of the machinery such as bearings, alignment, and balance. The main advantages for applying monitors are to provide early detection of changes in vibration levels. The Riverhawk Vibration and Axial Position Monitors are normally being used for automatic alarm and/or shutdown of the machinery to minimize the damage done in a failure and/or to prevent catastrophic breakup at failure. They can serve as a powerful preventive tool when using permanently positioned probes. Once the vibration monitor is programmed with an alarm set point and a trip set point (shutdown) and its probe is providing the input needed to measure vibration or position then it becomes an automatic detection and prevention system. Riverhawk is proud to offer a variety of Vibration and Position Monitor models. Learn more here. 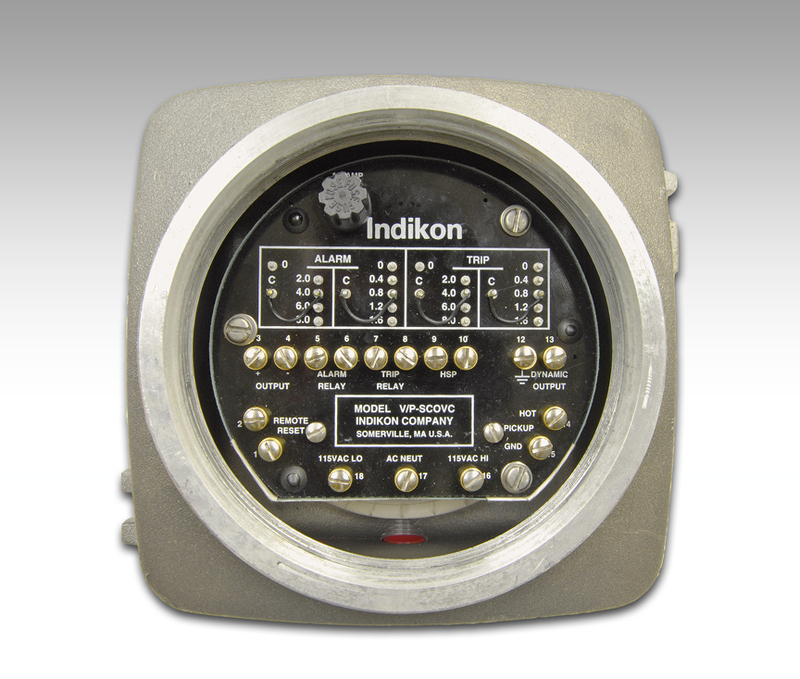 To learn more about Riverhawk’s Indikon Vibration and Position Monitors, please contact us. We are happy to assist you with your project needs.